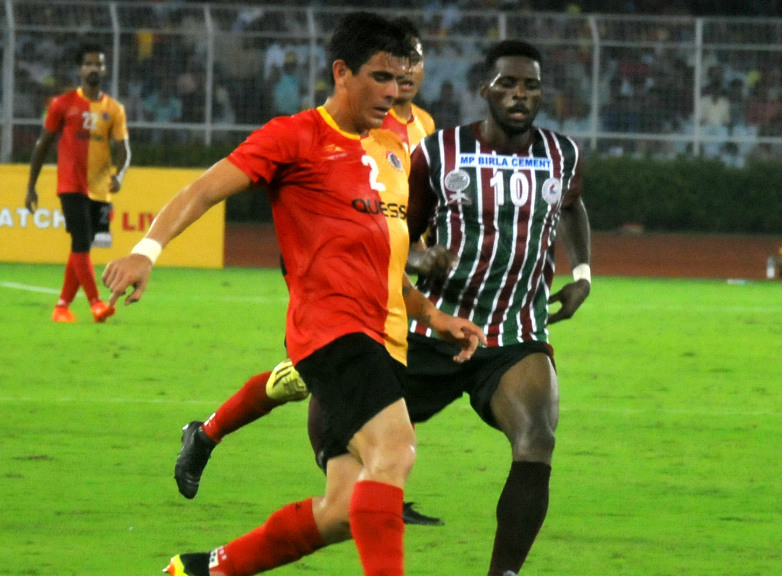 A unified league is not in the offing but the All India Football Federation (AIFF) remains open to I--League clubs, most notably Mohun Bagan and East Bengal, playing the 2019-20 Indian Super League as part of a proposed restructuring. 'Provided they (I-League clubs) fulfil the ISL criteria, it is possible as part of restructuring 'AIFF general secretary Kushal Das said Wednesday. Fulfilling franchisee fee of Rs 15 cr. is one of the criteria. While the AIFF has been looking to merge the two domestic leagues, there are a number of issues that need to be addressed. The arrival of Quess as sponsors has given East Bengal financial boost while Mohun Bagan are in talks with ATK to collaborate. "Talks are in advanced stages between Mohun Bagan and ATK," a source monitoring the development said. National team coach Stephen Constantine's contract runs till 19 January, 2019 and Das said the performance of the national team in the AFC Asian Cup and the coach's wish will be taken into account when the time comes for renewal. With plenty of optimism after an impressive run, the Indian team is leaving Thursday to play Oman in an international friendly on 27 December ,entering the final phase of preparation for the Asian Cup. The continental showpiece will be held in the UAE from 5 January to 1 February.